Biscuit business in Nigeria is a very profitable business because it is one of the most regularly consumed snacks in Nigeria on a daily basis. If you are thinking of venturing into this business you are on the right track because this business can turn you into a multi-millionaire. The demand for biscuits is largely high, it is commonly consumed by children and young adult. Biscuits are highly nutritious, easy to digest and of cause easy to carry. Biscuits production business in Nigeria has grown to be a large market with different brands ranging from sweetened to non-sweetened biscuits, from locally produced to internationally produced biscuits are being flooded in the market making it difficult to make a decision as to the one you want to buy. Biscuit production is leading the way in the Nigerian food industry because of its high demand and different types that are being manufactured from time to time. According to research about sixteen biscuit manufacturers operate in the country with an estimated biscuit consumption between 450,000 to 500,000 metric tons annually. One good thing about biscuits production is that they are easily prepared and not capital intensive. Its affordable for everyone both the rich and the poor. It can serve as snacks and can be served in all occasions. The first thing to do if you really want to be successful in this business is to make a good feasibility study and have a well written business plan for the business. Its very important otherwise you may not get to the very height of the business because you do not have a roadmap that you are working with. 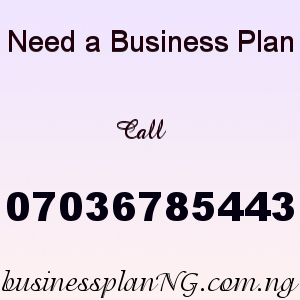 A business plan is a like a roadmap for a business. It equips you with the necessary knowledge you need for the business. Where to purchase the materials that you need for the business, equipment you need for the biscuit production, market analysis, financial projections, Marketing strategy etc. Register the Business – This is a very important aspect most especially in food manufacturing industry. Processed food require registration and approval not just with the Corporate Affairs Commission, C.A.C but also with National Agency for Food and Drugs Administration and Control, NAFDAC, with Standard Organization of Nigeria, SON, and with the National Health Insurance Scheme, N.H.I.S. All this agencies will provide you with the necessary license you need for your company to be an approved biscuit production company in Nigeria. Location – This is an important factor that determines whether your business will be successful or not. The location of your business is very important. You have to choose a location where customers can easily locate you so you must choose a location that is easily accessible and close to your market. Staff – The only people you should employ should be competent people. Those who can help you take the vision of the company to the next level. In biscuit production, the capacity of the biscuit factory determines the volume of biscuit that are produced on a daily basis. The average biscuit production machine produces about 1000kg of biscuit on a daily basis when its on 8 hour shift. Our sample Biscuit Production Business Plan in Nigeria can be used to access bank loans, proposal writing and grant applications. The business plan was complied after a thorough feasibility study on Biscuit Business in Nigeria was done. After you have made payment for your Biscuit Production Business Plan in Nigeria & Feasibility Study, send your email and payment details to 07036785443. Once your payment has been verified the Biscuit Production Business Plan PDF will be sent to your email. story. It’s surprising you aren’t more popular since you definitely possess the gift.